NO?! Something BIG just came your way, for the first time ever.. 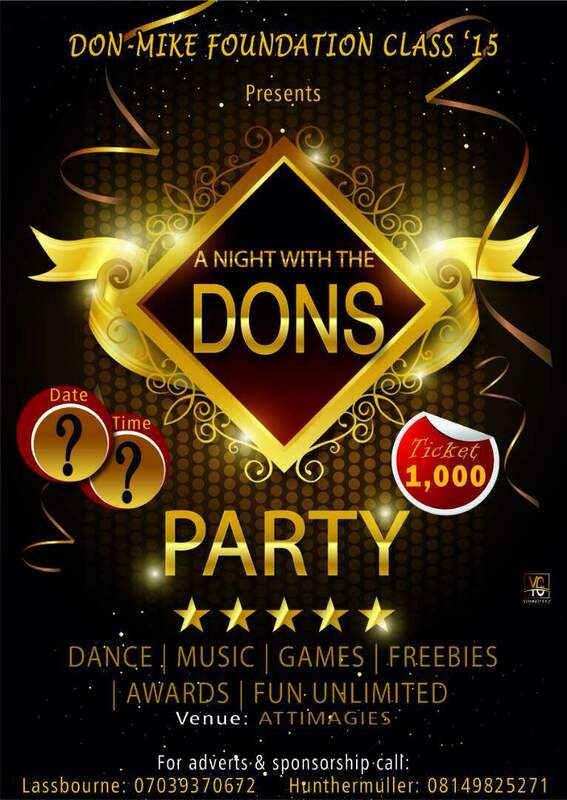 THE DON MIKE FOUNDATION GET2GETHER PARTY! Lock down the DATE which is *?? * at ATTIMAGIES, yoaco area. Venue: 🏨ATTIMAGIES HOTEL, YOACO AREA, OGBOMOSO.